Eating right for diabetics can be difficult from time to time. Having a list of foods for diabetics that are not only recommended but the best can be helpful when it comes to meal planning and shopping. It can also be important to be aware of what foods to avoid with diabetes to help keep blood sugar levels under control. 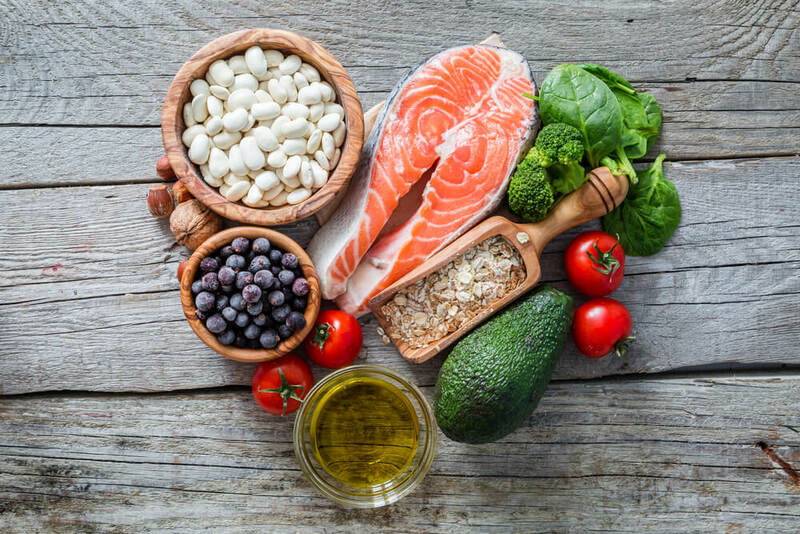 Having diabetes doesn’t mean that avoiding favorite foods is necessary, it just important to understand the good foods for diabetes and to make sure that they are included on a weekly basis to maintain a healthy lifestyle. Click here for a list of 31 foods that lower blood sugar levels. Here we’re going to provide a list of foods for diabetics that keep blood sugar levels under control as well as helping avoid the development of other life threatening diseases that can be complications of diabetes. Squash is full of antioxidants and has a wide choice of varieties that can be used in various meals. Squash is one of the good foods for diabetics because it can help with insulin and blood sugar levels. Squash can be high in carbs so over eating squash is not beneficial but adding some squash to your meals can be helpful for blood sugar levels. Fatty fish in particular is another one of the good foods for diabetics. Fatty fish can include salmon, sardines, herring, anchovies and mackerel and can be considered the one of the best foods for you in general. Getting enough healthy fats is good for diabetics to help combat heart disease and other complications of diabetes. Not to mention that fish has a high protein content which keeps you feeling full longer. Leafy green vegetables have a long list of nutritional facts and are considerably low in calories. A few greens that are on our list of foods for diabetics are Spanish, kale and They are high in antioxidants, vitamins, minerals and vitamin C. Broccoli is especially good to add to weekly meals because it has less than 30 calories and has magnesium and other important nutrients. All of the benefits of leafy greens can help combat various diseases and complications of diabetes. Eggs are a great addition to any individual’s diet. They’re one of the best foods due to their health benefits, their protein and their ability to help reduce the risk of heart disease. Eggs can also help with cholesterol levels and balancing blood sugar levels. Whole eggs are great served in the morning to get a jump start on the day. Turmeric is becoming ever more popular due to its health benefits. Turmeric is a spice that can reduce inflammation and blood sugar levels while also helping reduce the risk of heart disease. One of the main active ingredients in curcumin which can also help lower the risk of certain infections in diabetics such as kidney infections. When it comes to cooking, use extra virgin olive oil instead of other types of oils because it contains oleic acid, helps increase fullness, reduces the risk of heart disease and contains antioxidants that help keep the body strong. And the list can go on…. Taking care of your body and overall health should be the number one goal. Adapting to a new habit, especially an eating habit can take up to two weeks but once the change it made, life will get easier. Making the right decisions when it comes to food will keep the health benefits available.